The capture link is used specifically in the grid search form. This type of link imports data from another grid to the field search form. When capture link type is selected, a list with the fields search form is displayed. Choose a field to receive data through the link. In the image above a list with project available grid applications is displayed. 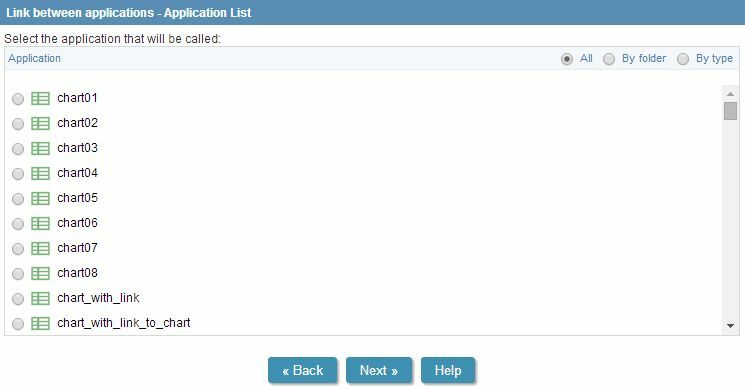 Select a grid application according to the search form field that receives the data. Fetch field value: - Select a called grid field. This field have the value received by the search form.